Steven Takahashi, son of former Canadian Olympic wrestling star Ray Takahashi and grandson of the great Canadian judoka Maseo Takahashi, is on his way to establishing himself as an Olympic contender. You could say wrestling runs in Steven Takashashi’s blood. The son of former Canadian Olympic wrestling star Ray Takahashi and grandson of the great Canadian judoka Maseo Takahashi, is on his way to establishing himself as an Olympic contender. Steven has received Academic-All Canadian honours and won numerous U SPORTS wrestling titles, and in his final event as a student-athlete, he pinned down an elusive international medal this past November, earning bronze at the World University Wrestling Championship in Corum, Turkey. "My dad made three Olympic teams, won (at) the Commonwealth Games and Pan Am Games,” says Steven. “Seeing those credentials, I’ve always strived to get to that point. “(The bronze at the World University Championships is) one of the few titles I have over him (Ray)," he laughs. Ray, who was also his son’s coach at Western, competed at the 1981 Universiade in Romania placing fourth. "He always said when he was young, he wanted to go to the Olympics and win a medal,” Ray says. The younger Takahashi’s Olympic pursuit has been a series of obstacles: funding, qualifying and injuries. “At the Olympic trials last year, I competed in freestyle first and I ended up tearing my MCL in the freestyle tournament, and I didn’t think I was going to be able to compete the next day in Greco,” Steven says. His sights are set on the 2020 Olympics, in Tokyo, a competition he has been groomed for while competing in U SPORTS. “In wrestling, it’s critical, I think, that the universities allow not only participation and development but they are the foundation for national programming,” Ray says. University wrestling is one of the few ways for amateur athletes to compete against quality talent. 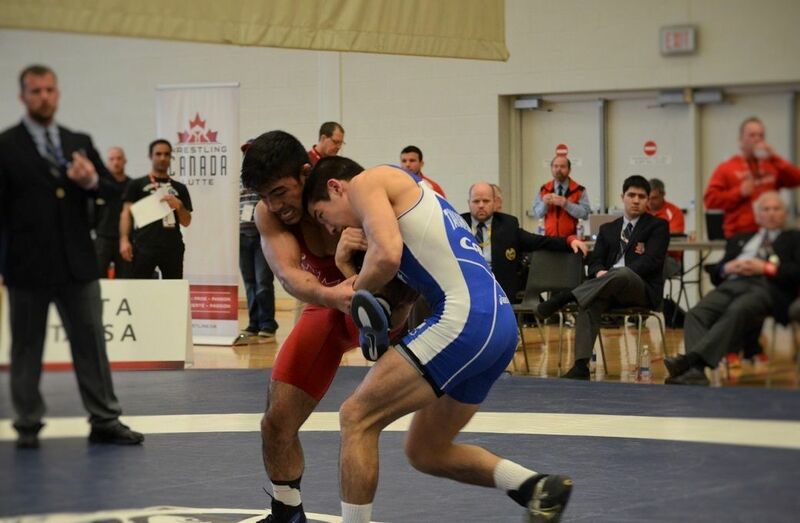 “Competing in U SPORTS is a big development for any wrestling career in Canada — being able to compete for your university and still get an education is super important,” Steven explains. 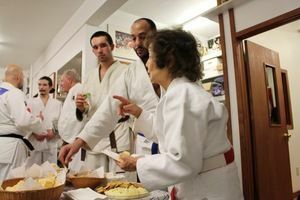 Standing at just under five feet tall, sensei June Takahashi, 82, is a force to be reckoned with. 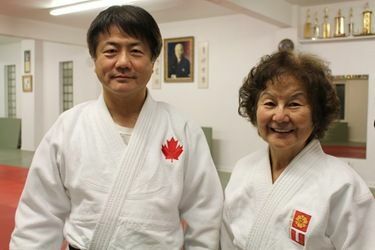 The mighty matriarch of the Takahashi clan continues to operate the family dojo which opened on Melrose Avenue in Ottawa, back in 1969. She recently celebrated the honouring of a longtime dojo member. Inside her office the walls are decorated with accolades earned by June, her husband Masao and their four children: Allyn, Phil, Ray and Tina Takahashi. A painting of Masao hangs behind the desk; he is recovering from a bout of cancer. June has born a line of elite athletes who have established themselves in the world of judo and wrestling. 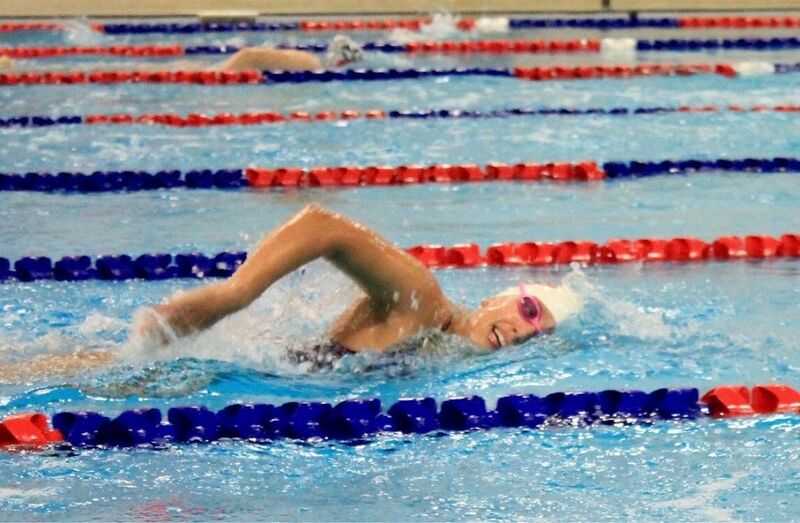 Her lifelong commitment to high-performance sport is a characteristic that has trickled down through three generations. Her grandson Steven has found success on the wrestling mat. His father, Ray is an accomplished Olympic wrestler and judoka in his own right. The youngest of three boys, Ray turned to wrestling after struggling in competitions against his older brothers Allyn and Phil. “What happened was Ray and Phil were in the same weight class, and of course Phil being older and heavier — it would have been better if they were separated in different age group and weight class,” June says. “I wasn’t too bad at judo, in high school we would compete a lot, and you know at that point, I was in the same class as my brother and the weight classes were different back then and they didn’t favor me. Steven says you could call his dad the black sheep of the family because he pursued wrestling instead of the family tradition of judo. Ray left Ottawa to pursue wrestling full-time at Western University in London, Ontario under the tutelage of Glynn Leyshon. In 1985, he assumed the role of Western’s head coach and has been at the helm ever since. He also continues to coach his son Steven, who recently graduated from Western. The wrestling bug has also bitten Steven’s cousin Adam, who moved from Ottawa to London to train with Steven and Ray. Even 600 kilometers away, it’s difficult to separate the family legacy of judo. "Judo has been such a part of our life, and that dojo is what we are and such a symbol of our family,” Steven says. The family has their roots in western Canada, Masao’s family were among thousands of Japanese-Canadians interned during the war. They were forced to move to a small-town in Alberta. “My father’s family got put into a farming community in Raymond, Alta., and apparently I am named after that town,” Ray says with a laugh. 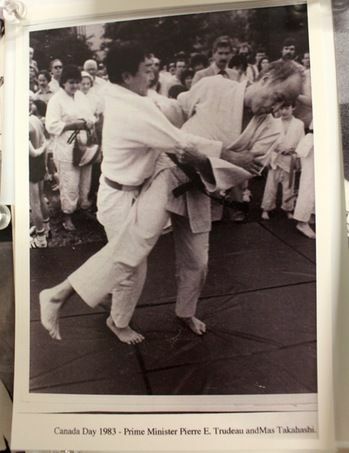 In 2002, Masao was recognized by the Emperor of Japan for improving the status of Japanese-Canada’s through the promotion and development of Judo in Canada. Together the Takahashi family has carved out a generational legacy in judo and wrestling that continues today.